TUESDAY, Oct. 9, 2018 (HealthDay News) -- One in four Americans 65 and older falls each year, with some ending up in hospitals or even dying. But new research suggests that it's possible to avoid some of these serious injuries. When seniors who are at risk of falling have a prevention plan, they're less likely to suffer a tumble-related hospitalization, the study found. 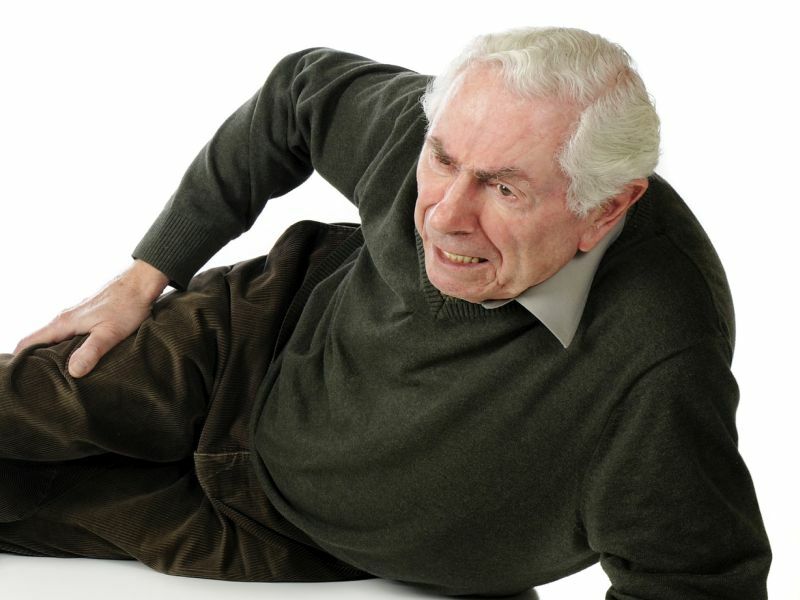 "We saw statistically significant change that reduced fall risk in people at risk of falls to almost the same as those who weren't at risk of a fall [at the start of the study]," said the study's lead author, Yvonne Johnston, an associate professor at the Binghamton University School of Nursing in New York. "Considering the cost of one hospitalization for fall, avoiding just one hospitalization compared to the cost of the program makes it a worthwhile program," she noted. For the study, researchers divided more than 12,000 older adults into three fall-risk groups. One group was at-risk and received the "Fall Plan of Care" intervention; another group was determined to be at-risk but received no formal plan; and the final group wasn't at risk of falling. The study found that at-risk adults who received the intervention had similar odds for falling as adults who weren't at risk of a fall, and 40 percent lower odds than those at risk without a fall prevention plan. "As we age, there are natural changes that occur in the body, but that doesn't mean that falls are a natural part of aging. There are things we can do -- if we're aware of the issue -- to account for changes, like occupational therapy for lower leg strength or cataract surgery to improve vision," she said. Turpin said it's important to talk to your doctor about your risk of falling. Your medications should be reviewed to make sure you're not taking something that might increase your fall risk. Some medications can make you dizzy or sleepy. It's also important to get your vision checked annually. "Cataracts can have huge implications for fall risk," Turpin said. Some seniors still get on a step stool to reach serving dishes in a high cabinet. "Could you rearrange the kitchen to make the things you need more accessible?" Turpin suggested. It's also important to ask your senior if he or she has already fallen. "There's a fear of telling anyone. They don't want to scare family members, and they're worried about losing their independence. But falls are an indication that something is going on, and that's when to intervene," Turpin said.